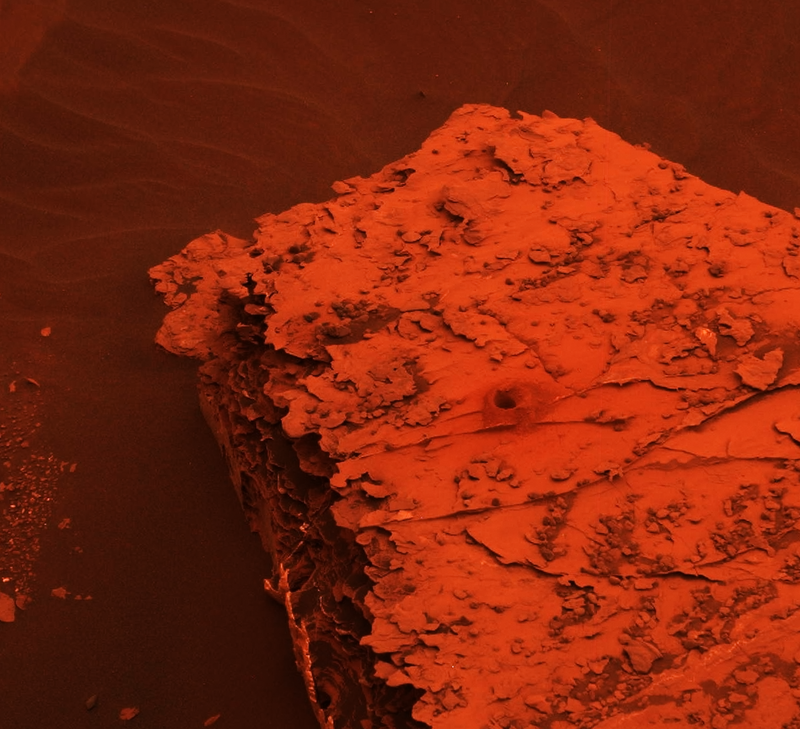 Two images from the Mast Camera (Mastcam) on NASA's Curiosity rover depict the change in the color of light illuminating the Martian surface since a dust storm engulfed Gale Crater. The left image shows the "Duluth" drill site on Sol 2058 (May 21, 2018); the right image is from Sol 2084 (June 17). The cherry red color in the post-storm image is due to a few factors. 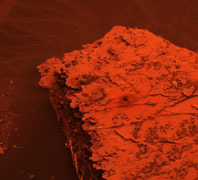 One difference between the two images is exposure time: the dust over Curiosity creates low-lighting conditions that require longer exposure times for the cameras. The pre-storm image had an exposure time of 7.3 milliseconds, which is normal for the rover; the later image had an exposure time that was 66 milliseconds -- or nine times longer. But a primary factor is red light being filtered through the dust; very little green and essentially no blue light makes it through the dust cloud. It's not unlike the way a forest fire changes the color of light, or a red stage light filters the other colors out. Though the first pre-storm image was taken at an earlier time of day, it has a much deeper shadow than the second image. That is because the whole sky is red and illuminating the rock from all sides. Malin Space Science Systems, San Diego, built and operates the Mastcam. NASA's Jet Propulsion Laboratory, a division of Caltech in Pasadena, California, manages the Mars Science Laboratory Project for NASA's Science Mission Directorate, Washington. JPL designed and built the project's Curiosity rover.